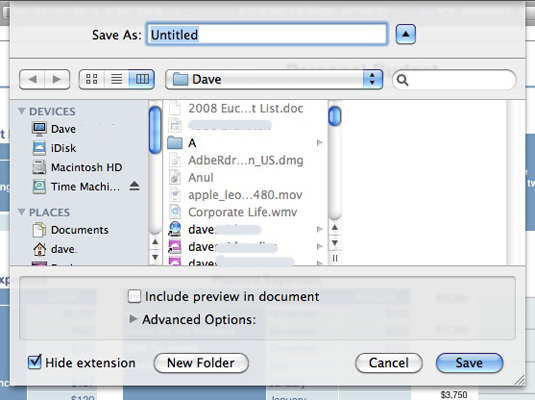 If you’re saving a document that hasn’t yet been saved, the Save As sheet appears. In the Save As sheet you can name your new Snow Leopard spreadsheet. Type a filename for your new spreadsheet. Click the Where pop-up menu, choose, and click Save. 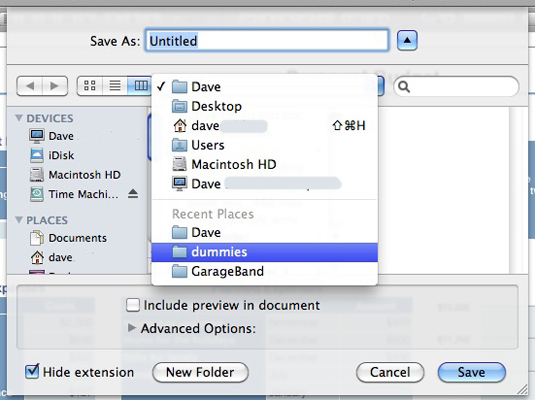 This allows you to select common locations, such as your desktop, Documents folder, or Home folder. Choose where to store your Mac file. If the location you want isn’t listed in the Where pop-up menu, you can also click the down-arrow button next to the Save As text box to display the full Save As dialog. Click the desired drive in the Devices list at the left of the dialog and then click folders and subfolders until you reach the desired location.